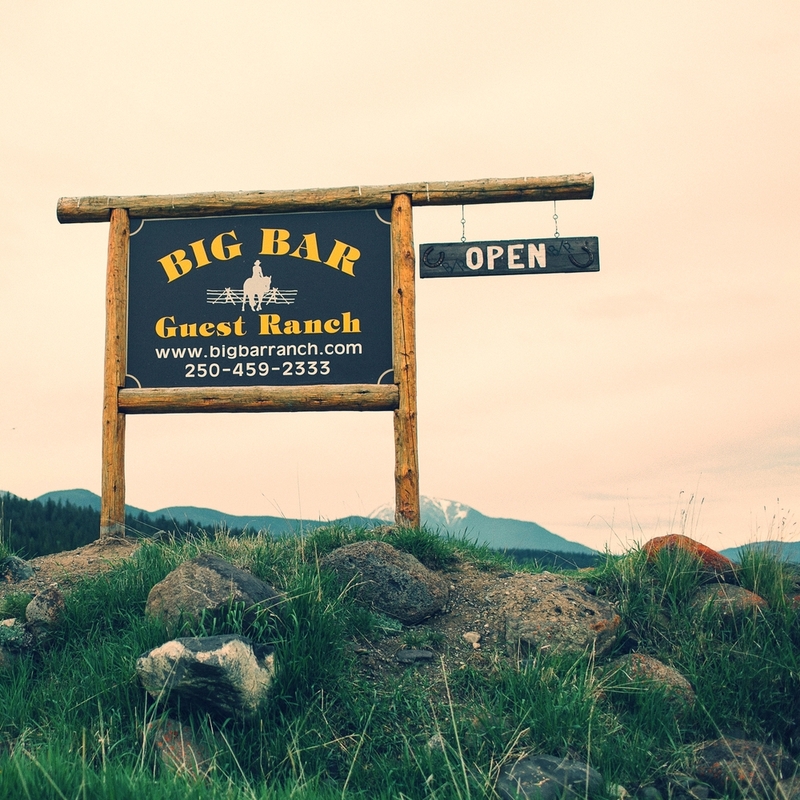 This list is just a few things you may not want to forget while packing for your stay at the Big Bar Guest Ranch. Keep in mind that we are an hour from the closest town of Clinton British Columbia, which offers limited shopping options. There is no shortage of beautiful ways to get to Big Bar Guest Ranch. We are a pleasant 6 hour drive along highway 1 from Vancouver. This drive will take you through some of British Columbia's most spectacular scenery. An alternative route is highway 99 via Whistler and Lillooet, connecting with highway 97 north of Cache Creek; another spectacular drive through the mountains. If you would rather sightsee and let someone else drive, arrangements can be made to pick you up in either Clinton or Kamloops for a fee. Please enquire about this option at the time of booking. For Ferry lovers try B.C. Ferries "Discovery Passage" from Port Hardy (Northern Vancouver Island) to Bella Coola. From there take Highway 20 to Riske Creek. This route will have you travelling exciting back country roads through historic Gang Ranch to Big Bar Guest Ranch. (Summer Only). Take Highway 1 East bound to Hope, at Hope continue North on Highway 1. Hope is a scenic town at the junction of the Fraser River and Thompson River. Follow Highway 1 all the way to Cache Creek, about two hours North of Hope. At Cache Creek continue North on Highway 97 towards Prince George and Clinton. Keep in mind that Clinton is last stop to grab snacks and goodies before heading into the ranch. Continue North, driving straight through Clinton towards 100 Mile for approx. 9 kms watch for the sign "Big Bar Lake". At the top of the hill, just before the viewpoint and rest area, turn left onto Big Bar Road. The ranch is approximately 46km from the highway (about an hour drive). Ignore the sign pointing you to the right for "Big Bar Lake Ranch" - this is a private housing development about halfway from the highway. Follow Big Bar Road all the way to the end, the road will come to a T.
At the T turn left and go over the cattle guard. There is a sign here stating you are now on Private Property for 4km - welcome, you are on OK Ranch range and we are just on the other side. Watch for cattle as you make your way through pasture and down the hill to the green buildings of the OK Ranch Cattle Co. Head up the hill on the other side and our driveway is on the left. Follow Highway 99 (Old Duffy Lake Road) from Whistler to the junction of Highway 97 North. 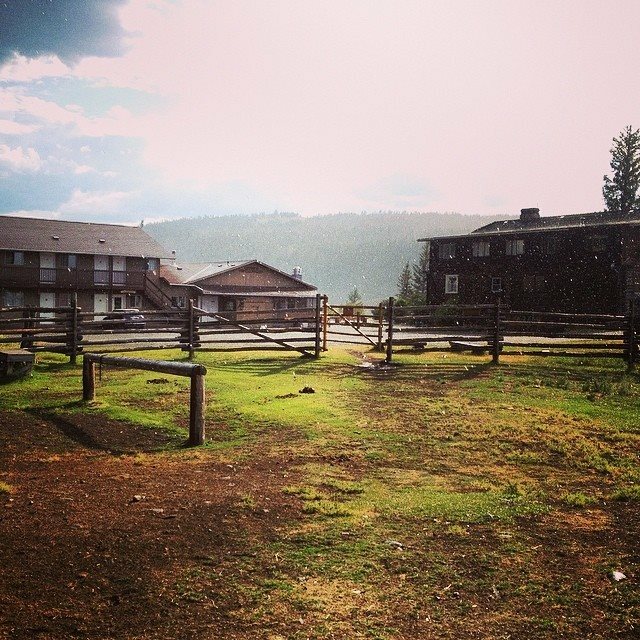 Historic Hat Creek Ranch is on the corner and a lovely place to stop for lunch. Continue North on Highway 97 towards Prince George and Clinton. Keep in mind that Clinton is the last stop to grab snacks and goodies before heading into the ranch. Continue North, driving straight through Clinton towards 100 Mile for approx. 9 kms watch for the sign "Big Bar Lake". At the top of the hill, just before the viewpoint and rest area, turn left onto Big Bar Road. The ranch is approximately 46km from the highway and roughly an hour’s drive. Ignore the sign pointing you to the right for "Big Bar Lake Ranch" - this is a private housing development about halfway from the highway. Follow Big Bar Road all the way to the end, the road will come to a T.
You can leave Clinton via Kelly Lake Road which takes you West towards Pavilion and Kelly Lake. Before you get to the water turn North (left) on Jesmond Road. You will stay on this road for roughly 50 minutes to get to Big Bar Guest ranch. Stay right at the Y in the road; do not follow signs to the Big Bar Ferry. This is a very majestic approach to the ranch however we would not recommend this road during the winter season or in a small vehicle. Please inquire upon booking if you are in need of our shuttle service.